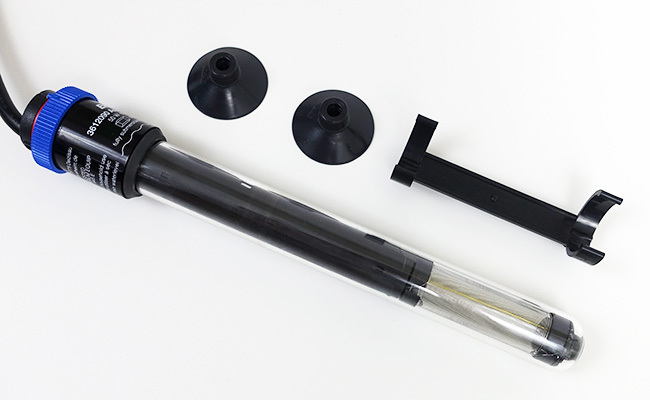 If you have been in the hobby for a while, then you have no doubt heard of the Eheim Jager TruTemp, a German-made aquarium heater that is highly regarded for its accuracy and quality. Is this heater worth your money? So, join me as I share my experience with the Eheim Jager TruTemp. With that out of the way, it’s time to jump into my review! Don’t have much room to spare? Use the following table to determine if the Eheim Jager TruTemp heater will fit inside your aquarium. Note: All measurements of the Eheim Jager TruTemp heater are taken at the longest point when resting in the mounting bracket. 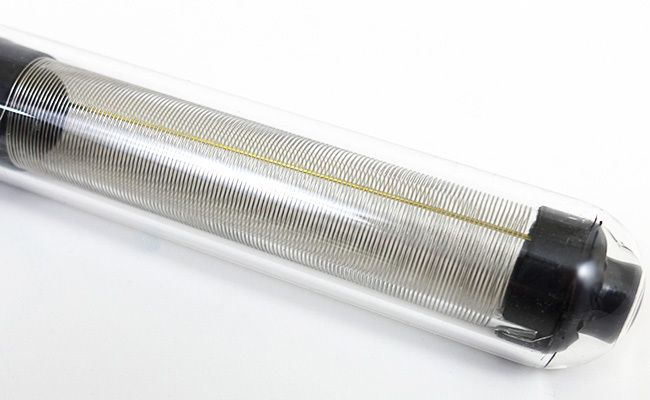 The glass heater tube is just 1″ wide. The following specifications remained constant across all models. Oh, and an instruction manual. Make sure you read it before setting the heater up in your tank! This can be discarded, it’s only there to keep the heater safe during shipping and serves no other purpose. So, don’t stress if you open your box to find this plastic ring broken – it’s better that it breaks instead of your heater, right? 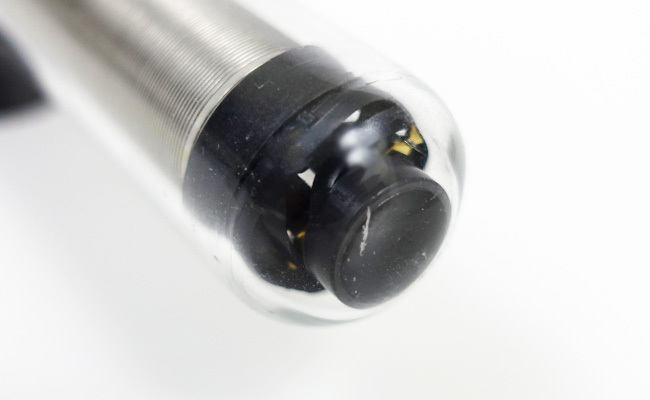 For a glass aquarium heater, the Eheim Jager TruTemp is actually a looker. 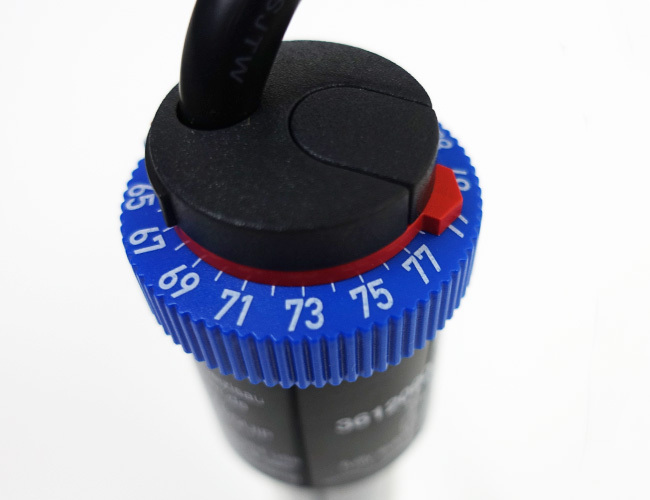 The design is modern and, were it not for the bright blue and red temperature dial, almost formal. As I held the heater in my hand, I began to appreciate the workmanship. It felt solid, well-made and the plastic is free from burrs and imperfections. When it comes to product build quality, the Germans really know their stuff. 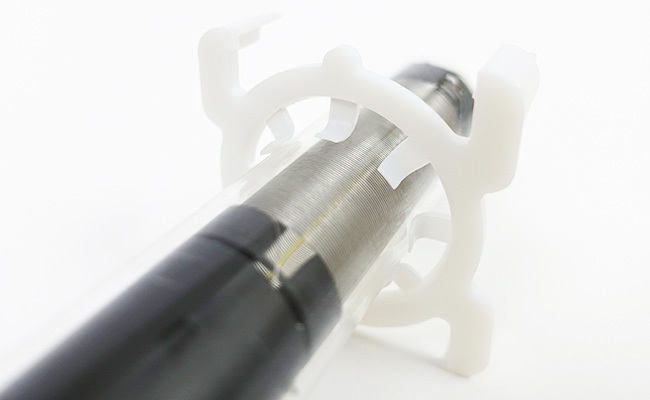 You can clearly see the heater neatly coiled around and around through the glass tube. And that’s just the 50W size. The difference in size becomes even more obvious with the larger models. At the top of the heater, you find the adjustable thermostat. 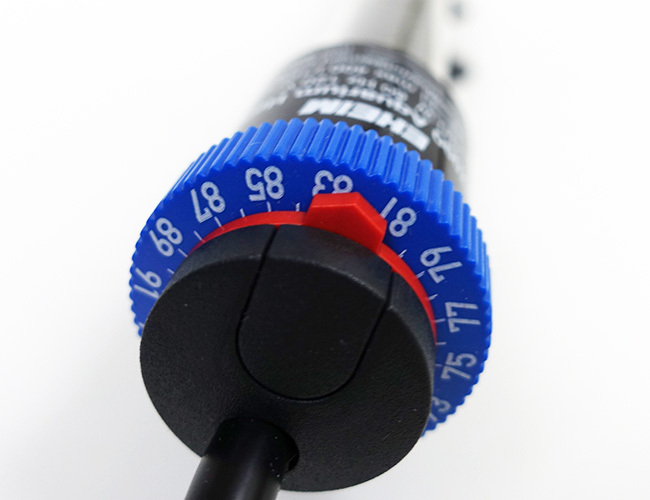 Simply twist the dial to select a temperature ranging from 65 – 93°F, marked in two degree intervals. 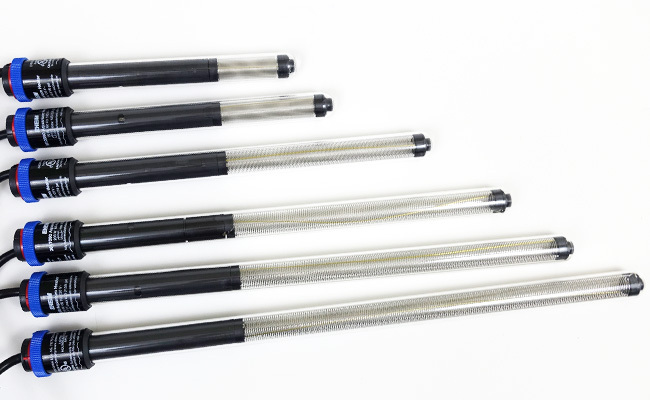 That is the largest temperature range of any aquarium heater on the market. The Germans must really think bigger is better. Now, you could look at this like it’s a good thing – the extra-thick insulation on the cable will stop the cord from getting damaged. However, in over 30 years and dozens of tanks, I have never had an aquarium heater fail because of the cable. In fact, I don’t think I have ever spoken to someone who would benefit from an extra chunky cord. I found the extra bulk of the cord to be an inconvenience, especially when trying to keep the cord neat and out of view. The chunky cord kept wanting to do its own thing, twisting back into view. 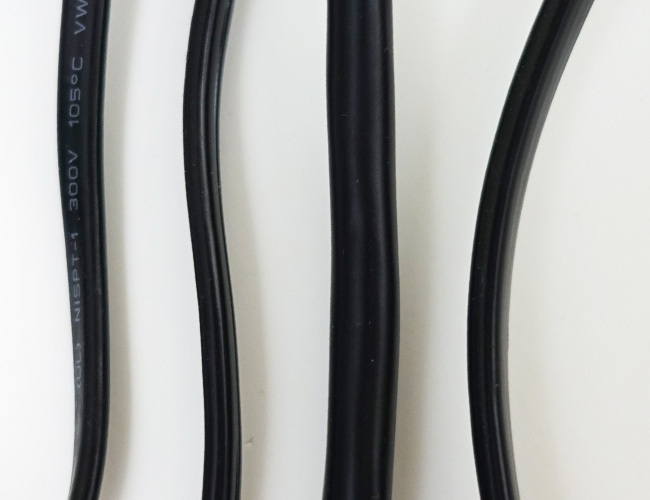 Compared to the flat cords of the Hydor Theo and Aqueon Pro, the larger cord feels cumbersome. Finally, you have the mounting bracket. 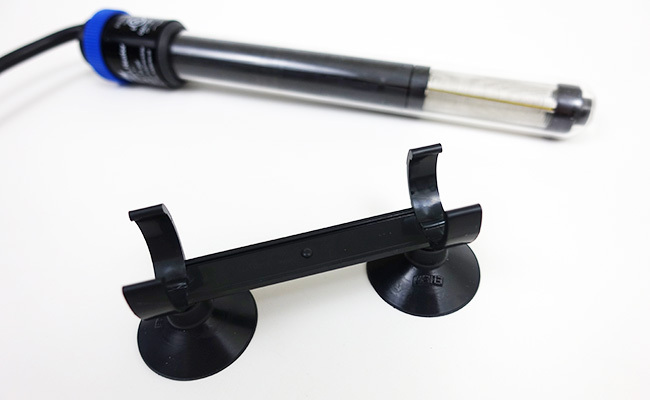 Simply attach the two suction cups, and you are ready to attach the Eheim Jager TruTemp to the glass of your aquarium. The mounting bracket neatly clips around the glass tube of the heater and can be positioned at any point along the glass section. 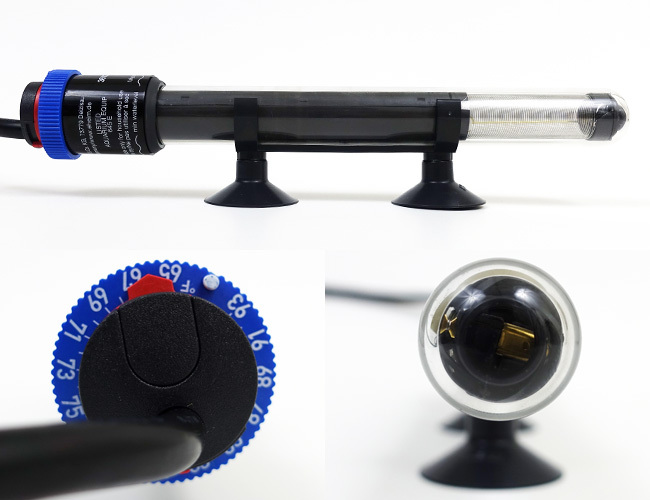 Like other aquarium heaters, the Eheim Jager TruTemp kicks into action the moment you plug it into your power strip, so make sure you have it in position before you turn the power on – this thing gets hot quickly! While I could easily mount the smaller sizes either vertically or horizontally, you’ll likely want to mount the larger sizes horizontally. Measuring up to 20 inches long, they can take up a fair amount of room in your tank. I also found that mounting the heaters horizontally caused the aquarium to heat up more evenly, although with adequate water movement, this is hardly an issue. When mounting horizontally, I felt that the larger-sized Eheim Jager heaters needed a second mounting bracket and suction cups. Clipping the mounting bracket to the center of the heater meant that very little pressure on either end would cause it to pop out. If you do choose to mount the heater vertically, you can leave the thermostat control out of the water for easy access. Just make sure the water covers the ‘minimum water level’ line, and you are fine. For most people this won’t be essential since once the desired temperature is set, it’s usually never adjusted again. So, if you want to completely submerse your heater then go right ahead. I will also add that Eheim Jager TruTemp has a run-dry shutoff. If it detects that the heater is getting too hot (out of water) it will turn the unit off – saving your heater from damage. I can confirm that this feature works, and it works well! Speaking of the temperature control… The dial is stiff to turn. To the point that if you have arthritis or weak fingers, you might actually struggle to twist it. However, this could also be a blessing since it means you are less likely to accidentally change the temperature if you bump the dial while cleaning. Given that the Eheim Jager TruTemp is widely regarded for its accuracy, which I discuss later in this review, I find it odd that the temperature selector arrow covers up so much of the markings. It did make it difficult to determine if I had selected the temperature I wanted. Now, this isn’t the biggest issue since you should always double check your temperature setting with a good aquarium thermometer anyway. But given that Eheim’s focus was on precision, this selector seems like an odd choice. If it was up to me, those temperature marking lines should extend to the edge of the blue dial. Once you select the correct temperature, it’s time to turn the power on. An orange indicator light located on the front of the glass section lets you know that the heater is on. Once the water has reached your preset temperature, the unit stops heating, and the LED light changes color to green. It might be simple, but it allowed me to easily check what the heater was doing with a quick glance. Now, I make it no secret that I typically don’t like glass aquarium heaters. Not only do they often get condensation inside, but they can easily break. Eheim claims that the glass on their heater is both shock-resistant and shatter-proof. So… I performed a drop test, simulating bumping the heater off the counter while cleaning my aquarium – by rolling the heater off my 24-inch-high desk. Safety glasses on… I rolled the heater off my desk, squinting in horror at thought of the mess I would soon have to clean up. Besides a small mark, the glass was completely unharmed. I submersed the heater in my aquarium, and it still worked, perfectly. Not bad at all! Now we get to what is the most important part of the review… Just how accurate is the Eheim Jager TruTemp? 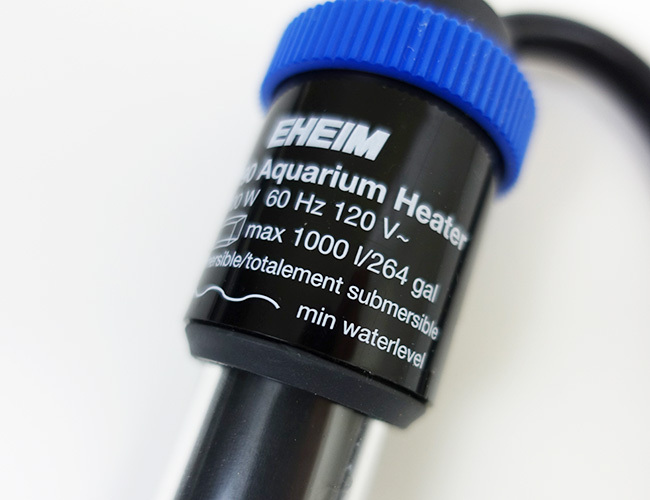 Eheim Jager aquarium heaters are well-regarded by many expert fish keepers for their accuracy, so I was excited to put these claims to the test. 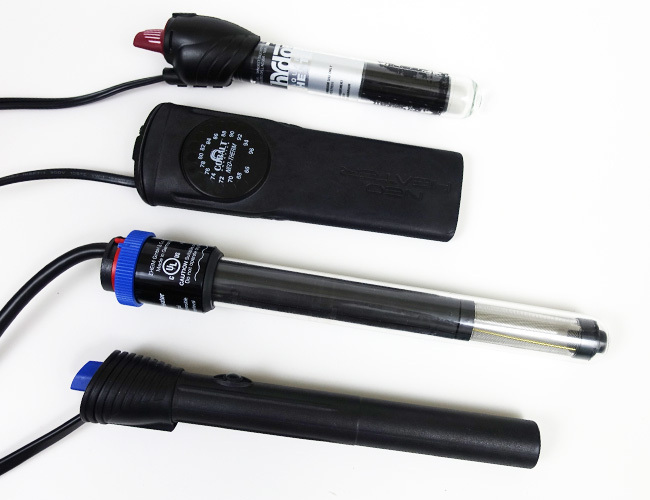 All calibrated with NIST certification. Eheim Jager claims that their range of heaters are calibrated to an accuracy of ± 0.5°C, which translates to ± 0.9°F. That is to say that if I adjusted the thermostat to 78°F then the actual water temperature could be 77.1°F, 78.9°F or anywhere in between. So, I tested the heaters by attempting to warm my aquarium to an even 78°F, measuring the results. How did these claims compare to real-world testing? Quite well actually. I found that no heater that I tested was out by more than 0.6°F, which falls well within Eheim Jager’s claims of accuracy. 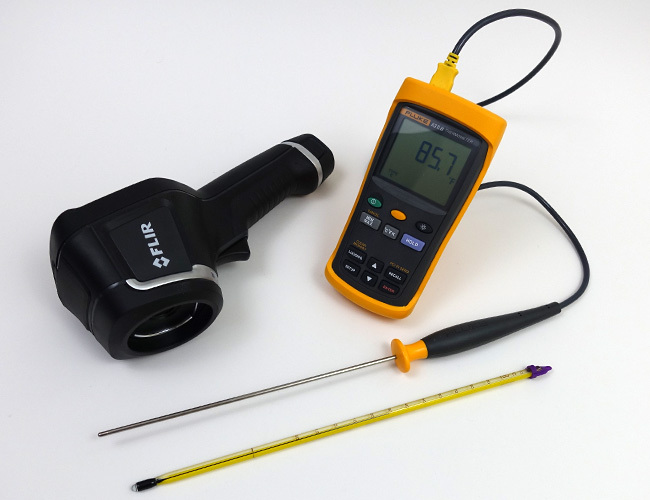 With impressive stats like that, the Eheim Jager gives the accuracy of the Cobalt Neo-Therm a good run for its money – especially if you want to heat your tank to an odd-numbered temperature (the Cobalt Neo-Therm heats in increments of 2°F). 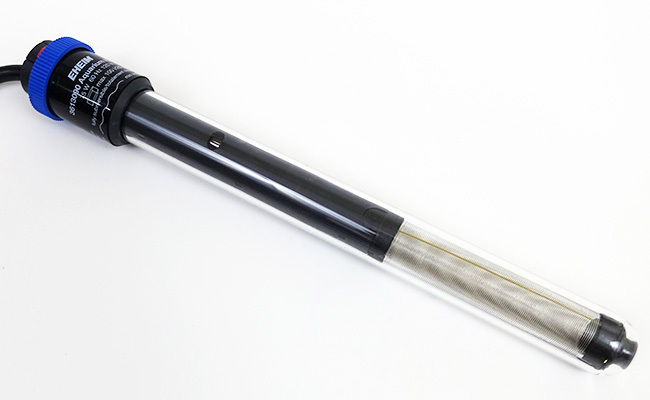 If you want a glass aquarium heater, then this Eheim Jager TruTemp is as good as it gets. 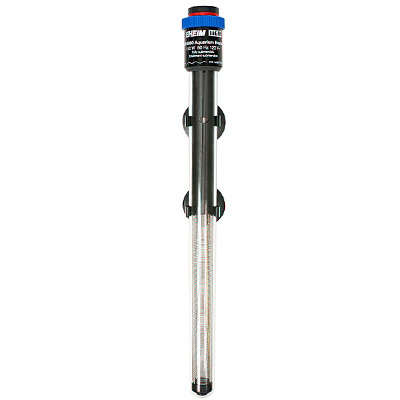 It’s massive temperature range beats out any other aquarium heater on the market. If you need your aquarium heated to an unusually cool or warm temperature, then this is really your only choice. Besides a few quirks with the size and temperature knob, the heater is a great example of German engineering. 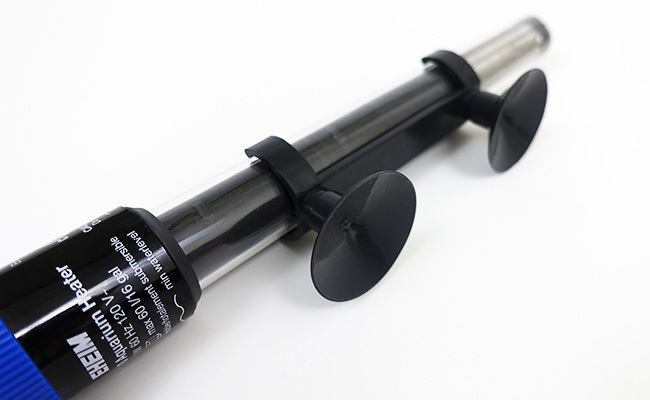 A well-made, accurate aquarium heater at a reasonable price. Highly recommended. I give it 4 / 5 starfish. 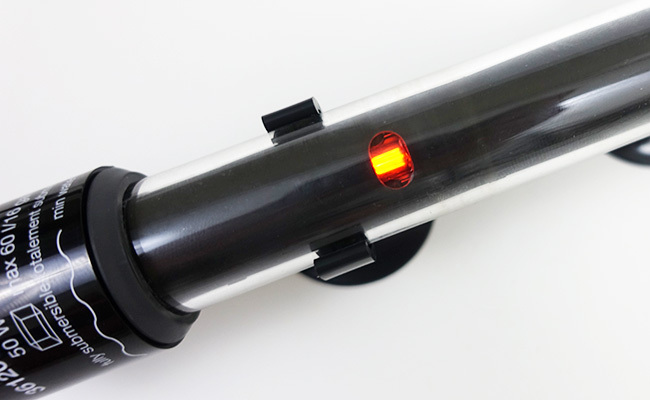 What do you think of the Eheim Jager TruTemp aquarium heater? Let me know in the comments below! It’s a great all-round heater than can hold it’s own with the best. I’m sure you will be happy with it.